Former Blink-182 member and current ufology entrepreneur Tom DeLonge digs deep into his ongoing alien investigations on a new episode of The Joe Rogan Experience. Not the least among his disclosures on the podcast is that an alien “life form” has apparently already been discovered. Although DeLonge appears reticent to discuss certain details of his supposed insider UFO knowledge with host Joe Rogan, the erstwhile Blink guitarist does reveal some interesting aspects of his otherworldy beliefs. DeLonge claims that the 1947 Roswell UFO incident had the U.S. attempting to obscure the existence of an experimental German aircraft—and that the government eventually came across a “life form” during the Cold War. Over the course of the interview, DeLonge talks about his purported dealings with multiple government officials, recalling apparent high-level meetings that will ring familiar with readers of the musician-turned-seeker's Sekret Machines books. In one supposed instance, DeLonge says a labyrinth of secret soireés let him to an airport encounter with an offical who revealed the government's findings of extraterrestrial existence during the Cold War. During the podcast, DeLonge touches on myriad other points of conjectural information regarding the government's supposed knowledge of alien life. As for the infamous Roswell incident, DeLonge claims the historical encounter involved alien technology but wasn't what most people think it was. 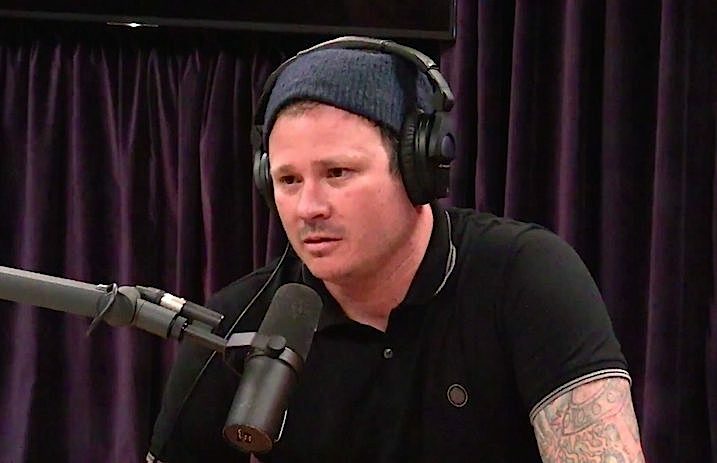 DeLonge's full episode with Rogan is nearly two hours long, so make some serious time if you want to parse the complete interview. Among the bulk of the chat, DeLonge intersperses some relatable nuggets of wisdom among his serpentine alien talk, examining the grand mystery of existence.